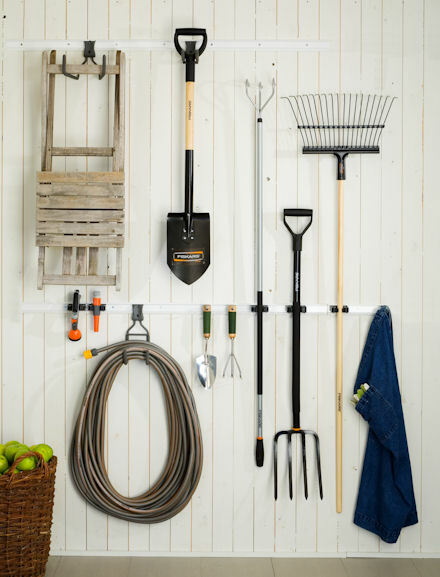 This neat pack of 5 hooks, 6 tool grippers and a handy holder is ideal for getting your shed organised. 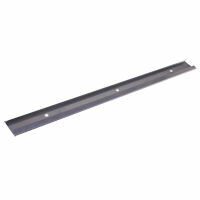 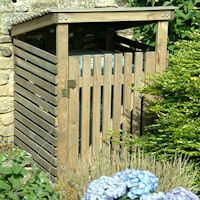 The starter kit also comes with two white 2m long elfa tracks to fix to your garage or shed wall (fixing kit provided). 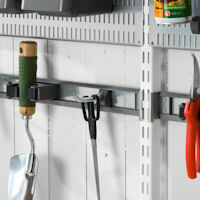 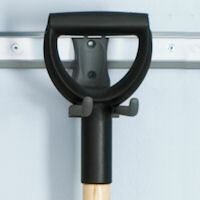 Once in place simply clip the movable hooks and holders into place as space allows. 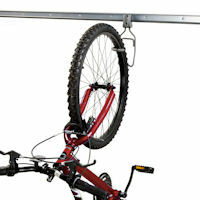 The elfa tracks can be mounted as shown above each other or if your prefer, side by side. 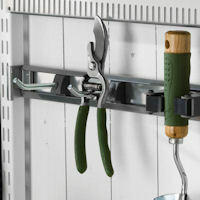 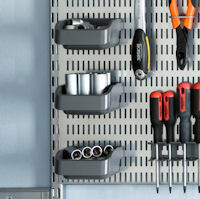 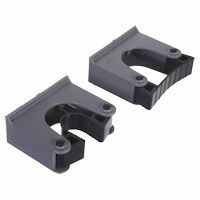 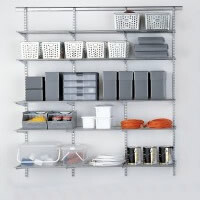 Add additional elfa utility hooks and organisers as you require from our new range.